Despite a limited injection into natural gas stockpiles over the past week, natgas-related exchange traded funds are weakening as traders anticipate weather conditions to turn and limit demand. On Friday, the United States Natural Gas Fund (NYSEArca: UNG) fell 2.2% and the iPath Bloomberg Natural Gas Subindex Total Return ETN (NYSEArca: GAZ) dropped 1.0%, with both options testing their support at the 50-day simple moving average. Over the past week, UNG declined 2.7% and GAZ decreased 3.9%. Meanwhile, traders capitalized on the turning sentiment with inverse or bearish ETFs. For instance, the VelocityShares Daily 3x Inverse Natural Gas ETN (NYSEArca: DGAZ), which seeks to provide the daily inverse 3x or -300% performance of NYMEX natural gas futures, jumped 6.9% on Friday while the ProShares UltraShort Bloomberg Natural Gas (NYSEArca: KOLD), which provides the daily inverse 2x or -200% performance jumped 4.5%. Meanwhile, Nymex natural gas futures dipped 1.9% to $2.90 per million British thermal units. Natural gas prices weakened on expectations that cooler weather ahead would diminish natgas demand for electricity generation, reports Alison Sider for the Wall Street Journal. 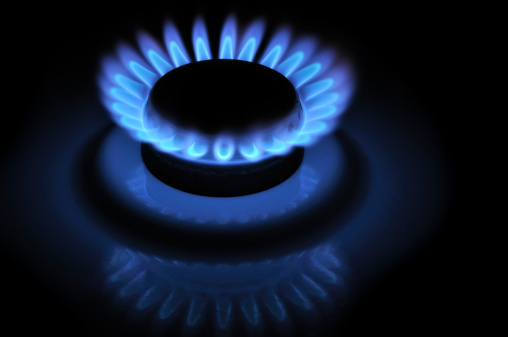 The natural gas market has surged over the summer on unusually hot weather that bolstered demand for electricity for air conditioning – about 50% of U.S. households utilize natural gas for heating and cooling. However, the weather conditions are expected to change ahead as temperatures ease.